Thank you for helping the Gary Burnstein Clinic today! We appreciate your curiosity and discovering our quick help menu! Please use the buttons below to donate, volunteer, and get more involved. Every little bit helps and together we’re changing lives each day. 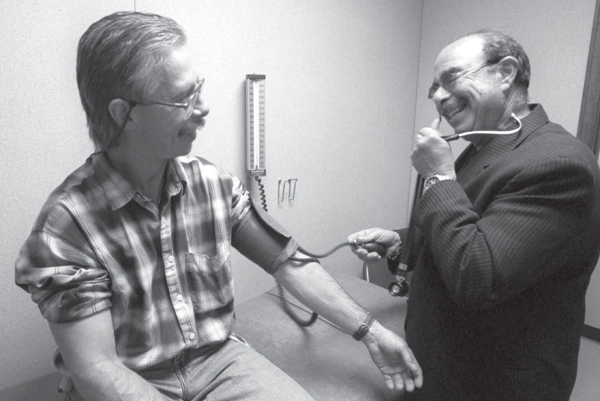 In 1997, after working 20 years as a cardiologist, Dr. Gary Burnstein began providing care for patients at a homeless shelter in Pontiac, Michigan. 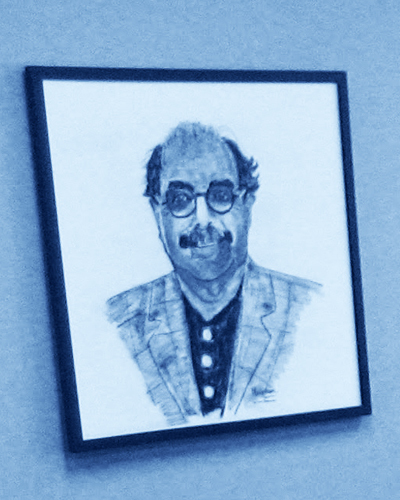 Dr. Burnstein passed away in 2003, but friends, family, and community members honored his dream of providing care to the uninsured by establishing the Dr. Gary Burnstein Community Health Clinic (GBCHC). Dr. Burnstein’s dream of providing free medical care for those in need began in a closet at the shelter, and grew into a small rented facility in Pontiac. The Gary Burnstein Community Health Clinic is a self funded 501(c)3 non-profit foundation. The clinic is funded by grants from Blue Cross Blue Shield of Michigan, Michigan Department of Public Health and donations received from our fundraising events including the Esteemed Women of Michigan Event. We have received significant funding towards our capital campaign from the Farber Family Foundation, the Peterson Family Foundation, and the Van Gorp Family Foundation. During 2014, we raised more than $700,000 to pay for the completion of the new building. We also receive donations of supplies that minimize what we need to purchase on our own, including everything from pharmaceuticals and medical exam beds to paper towels and latex gloves. Our annual budget remains lean thanks to our incredible corps of volunteer physicians, dentists, pharmacists, students, and administrators. With commitment, generosity, and ingenuity, the Dr. Gary Burnstein Community Health Clinic provides nearly 3000 annual office visits and more than one million dollars worth of medication. Having moved into a larger facility, we are positioned to treat even more patients in the years to come, and we thank our community and donors for supporting us through this transition and into the future. Did you know that the Dr. Gary Burnstein Community Health Clinic only has five full-time employees!? The remainder of our clinic is powered by an amazing corps of volunteer professionals. It is a popular misconception that free clinics are no longer needed, thanks to the recent changes to healthcare legislation. People are often surprised to hear that when the Affordable Care Act is finally fully implemented in 2024, an estimated 29 million people will be left uninsured. In states that received federal waivers to expand Medicaid for the uninsured (which include Michigan), volume continues to grow at free clinics following implementation of the ACA. Clinics helped patients navigate through the policy and coverage changes, while dental care and prescription assistance remained a vitally important need only serviced by many free clinics. While it is clear that the impact of ACA will be vast, it will not be a cure-all for all segments of the population. The care and services provided by the GBCHC will be in demand for a long time to come. In Southeast Michigan, the Dr. Gary Burnstein Community Health Clinic is positioned to care for the most vulnerable and often overlooked members of the community without access to healthcare. Detroit struggles with an undeserved community, however it is important to recognize that 58% of our fellow citizens residing in the suburban communities in the tri-county areas of Macomb, Oakland, and Wayne counties live at or below the poverty line. The GBCHC is well positioned to care for community members for whom the ACA does not offer a viable solution, from each of our neighboring counties. Dear Pat and staff, Thank you for the outstanding care I received from all the staff at your clinic! The world is a better place because of you. Continue to shine. Thanks again! To the staff of this truly awesome clinic, thank you one & all for all the care and thoughtfulness and smiles you have given me over the few years of my care. i am so grateful I found this clinic. You do so much for so many people. Cathy & Gary, Cathy you called to say you would put me on your list. This is a thank you for putting a long lost smile on my face with that good news. From the bottom of my heart God bless you both. Thank you for returning my call for help. Thank you again for all of your assistance. You have gone above and beyond, and for that you will never know how much it has meant to me. When you don't have insurance, you let so many little things go, because you know that there isn't anyone who will see you. The Burnstein Clinic is the first place out of many who were actually willing to help. You guys are making a difference. Need our services? Want to volunteer? Contact us today!